Trouble is brewing in the Shire of Serventy. Hoons in hotted-up cars have started treating the roads around the primary school like a racing circuit. A gate is snapped clean off its hinges. The oval is ripped raw by drag racers. When a school bus is run off the road and an excursion is abandoned, the Serventy kids decide its time to take action. Can Hayley get the bumcrack kid to join the campaign? Will Seargant Wilson catch the culprits before Mrs. Abernathy slays him with her cakes? Anything could happen in this second exciting Serventy kids adventure and probably will! 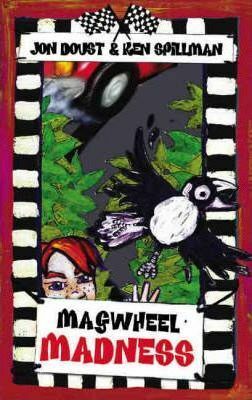 This book is a follow up to Magpie Mischief, also published by Fremantle Arts Centre Press.